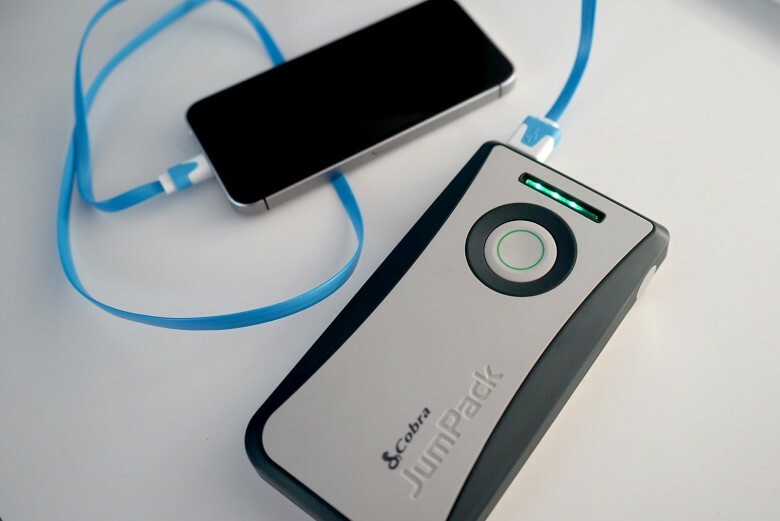 Give your phone a jump-start with the JumPack. If you’re anything like me, you carry a ton of gadgets. Keeping them all charged is a juggling act and, inevitably, there’s always one device I’ve neglected to keep juiced. 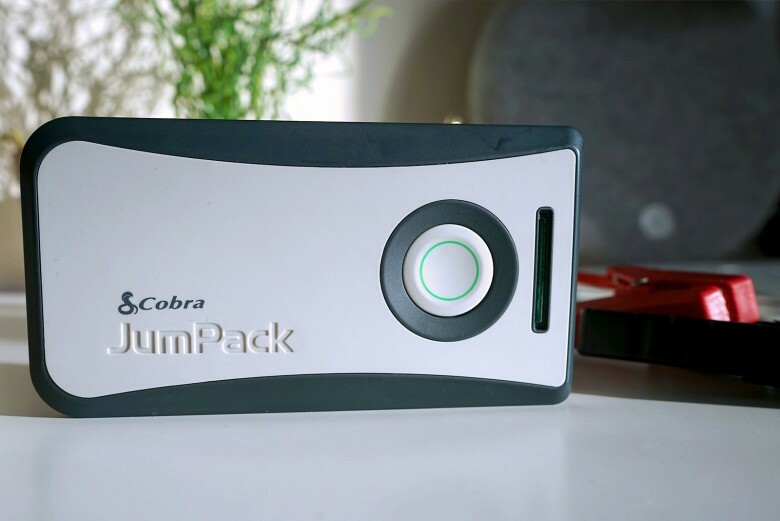 Coming to my rescue though, Cobra sent over a JumPack Power Pack to charge up all my devices. Plus, it comes with an extra trick up its sleeve. The power pack features a 6,000mAh battery, which comes through a 2.4 amp USB port. All of these numbers combined means whatever device I’m charging will reach a full charge in next to no time. The numbers began to add up when I charged my iPhone 6 Plus for the first time, jumping from dead to 50 percent in around 40 minutes, which is pretty impressive. It’ll charge an iPhone 6s about three times over before running out of juice, and features an overcharge protector to cut the power when full, protecting my device’s batteries in the long run. The JumPack isn’t the smallest power bank on the market. It’s slightly shorter than my iPhone 6 Plus and about double the thickness. But, I still have no trouble fitting it into a bag, glovebox or even my pocket (at a push). On top of being able to charge all of my devices, the JumPack can actually jump-start a car, motorcycle or even a boat — along with a lot of other vehicles multiple times with juice to spare. Just check your vehicle’s specs before buying the power pack; if it needs more than 200A with a 400A peak to start, this won’t work for you. For most vehicles, though, the JumPack will be fine. With Cobra’s JumPack I can charge my iPhone in no time. It’s really nice to have an external battery pack that has the bonus of jump-starting. I’ll be carrying this with me everywhere from now on. If my car battery decides to die on me for whatever reason I don’t have to rely on a passerby or a breakdown service. The JumPack is currently on sale for just under $90 on Amazon (originally, around $120 on Cobra’s website). It’s a little bit pricier than most power banks on the market, but most power packs can’t jump-start a boat. It’s a decent size, sturdy build-quality, and has plenty of power. I’ve got no real complaints about the JumPack CPP 8000 — except maybe the name. Make sure to subscribe to Cult of Mac on YouTube, so you don’t miss a single video. Cobra provided Cult of Mac with a review unit for this article. Read Cult of Mac’s reviews policy.